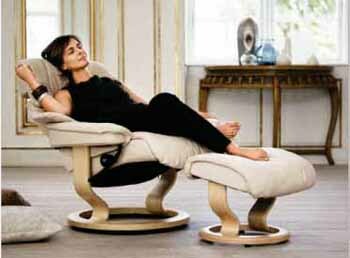 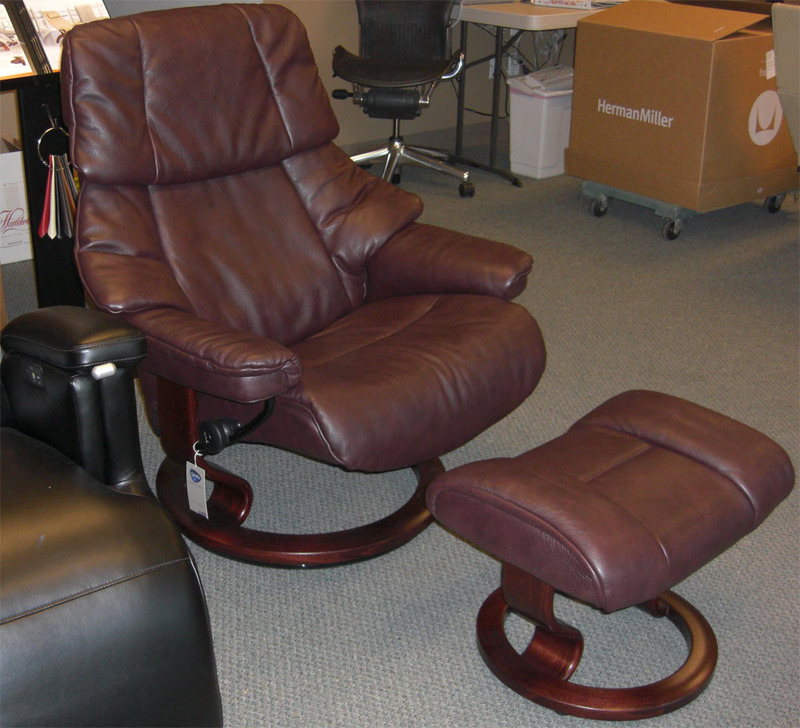 Stressless Reno Medium Recliner Chair and Ottoman byEkornes - The Stressless Reno Medium Recliner is a chair that can swivel a full 360 Degrees around. 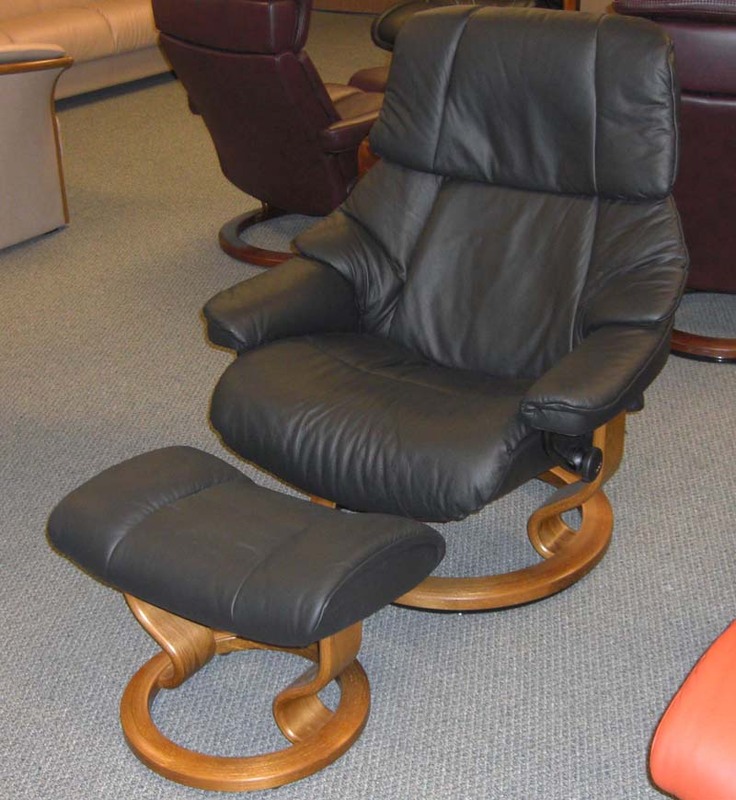 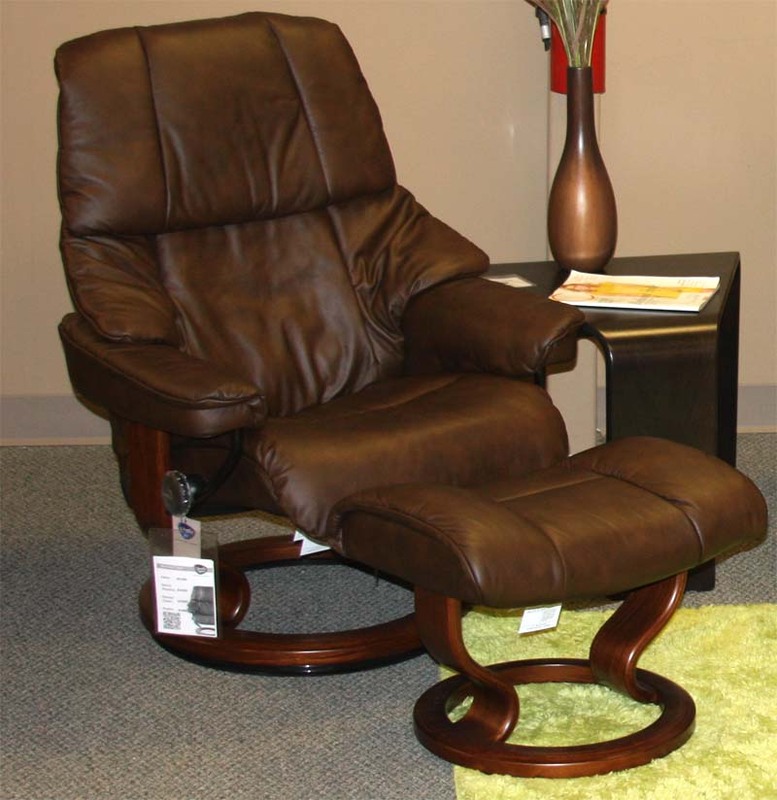 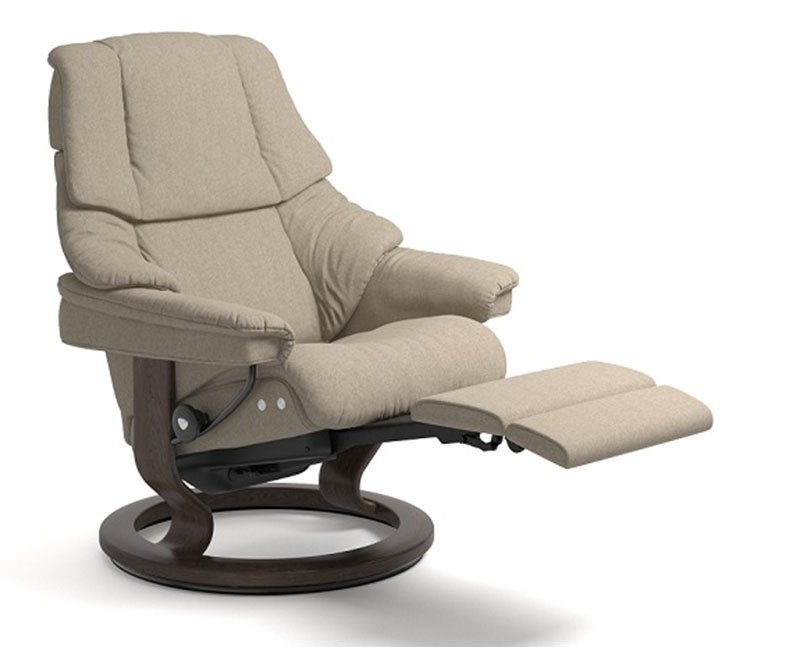 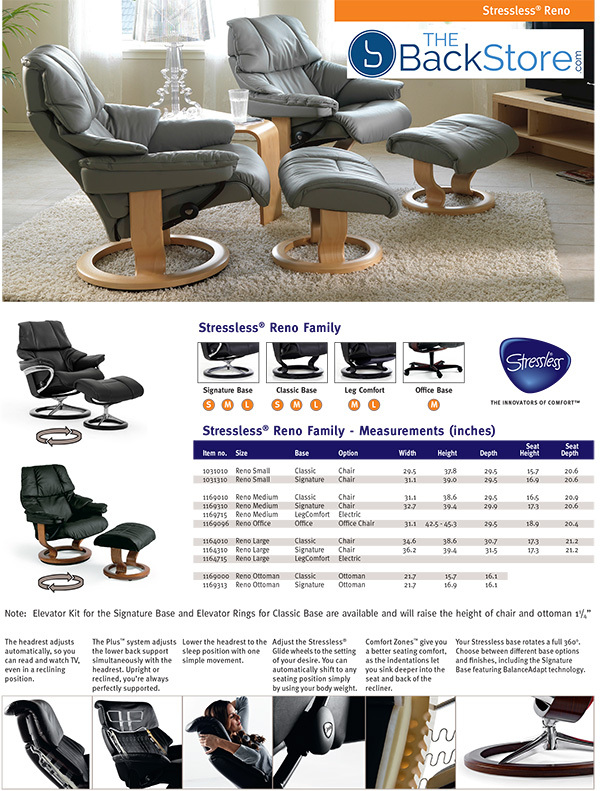 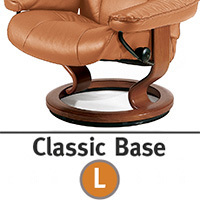 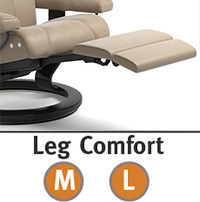 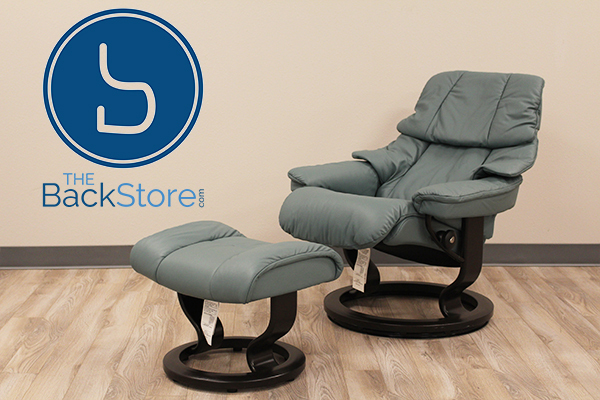 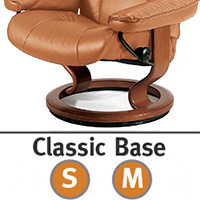 The recliner and the free-standing ottoman come with a unique Glide system which follows your bodys movement to provide perfect support and comfort. 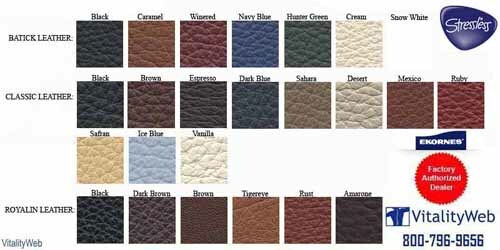 You can select from Fabric, Batick Leather, Paloma Leather, Classic Leather, Cori Leather, Royalin Leather or Noblesse Leather Pads in a large selection of colors and styles. 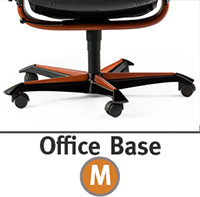 Select from four base options on this model: Classic Wood Hourglass, Signature Steel, Leg Comfort power extending footrest or the Office Desk Chair. 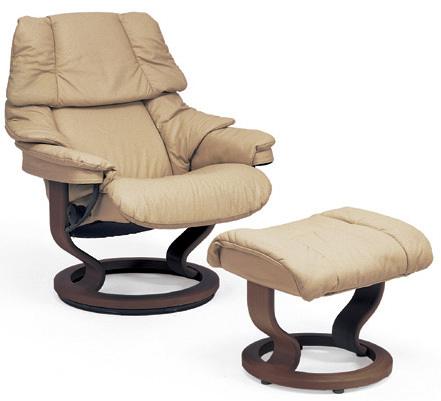 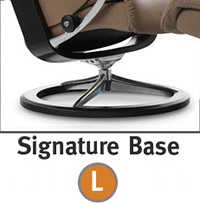 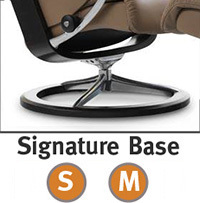 This model features a forward adjustable headrest. 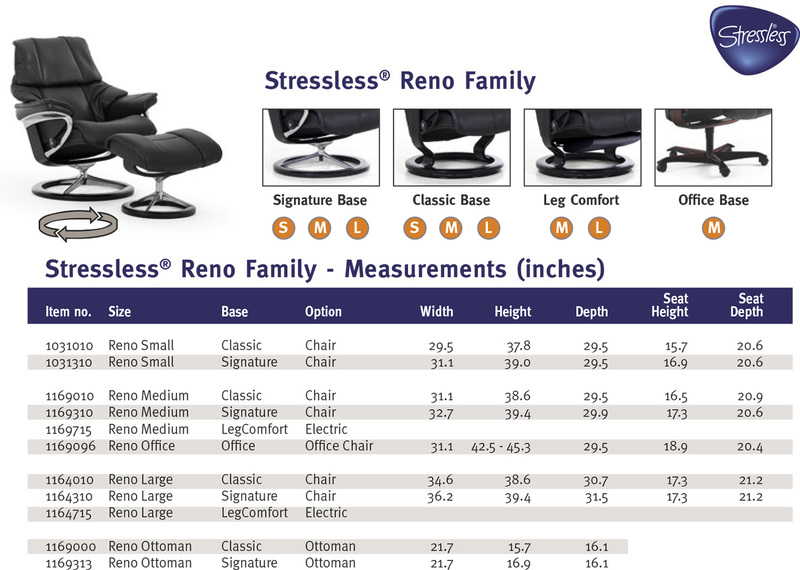 Reno Medium Headrest Height is also adjustable. 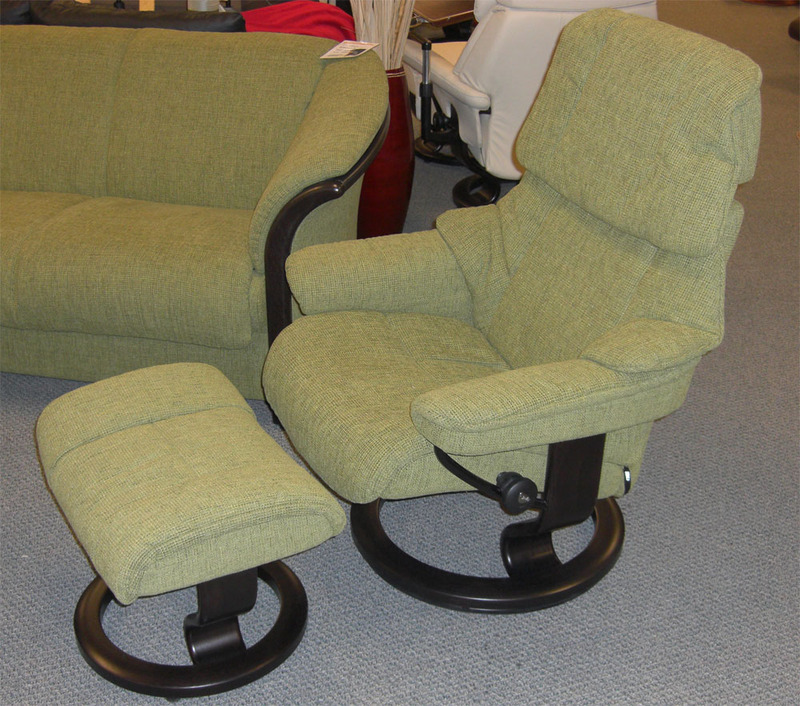 No Matching Sofas for the Reno Recliners. 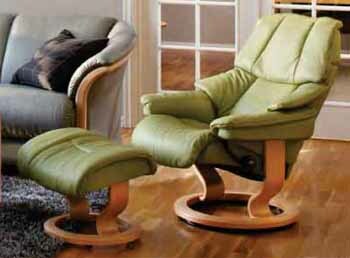 Stressless Reno in Paloma Green / Natural Wood Finish. 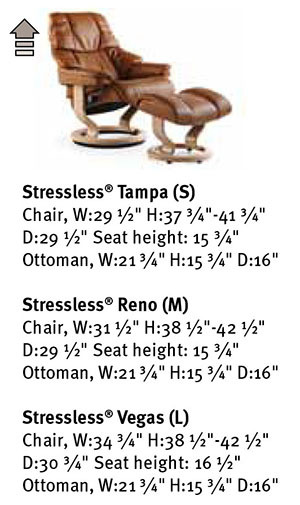 Streeless Reno in Paloma Sand / Natural Wood Finish.